It’s been a long time— too long, if you ask me— since I have shared some Greenpoint goodness from the days of old. 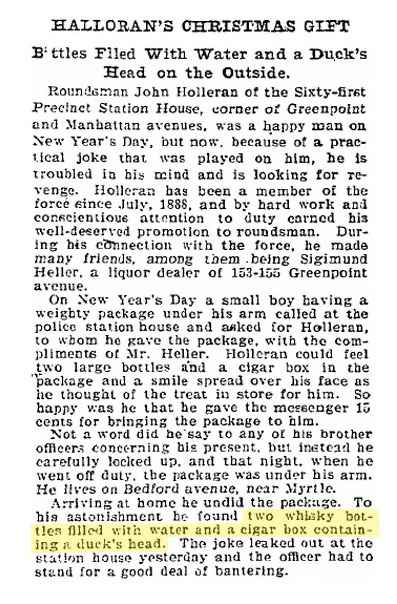 Today, I not only had the time but managed to parse a real gem from the Brooklyn Daily Eagle archives. It dates from January 8, 1900 and involves a member of the local constabulary receiving a very special bit of holiday cheer— if that is what one can call the decapitated head of a duck. Among other things. Enjoy! 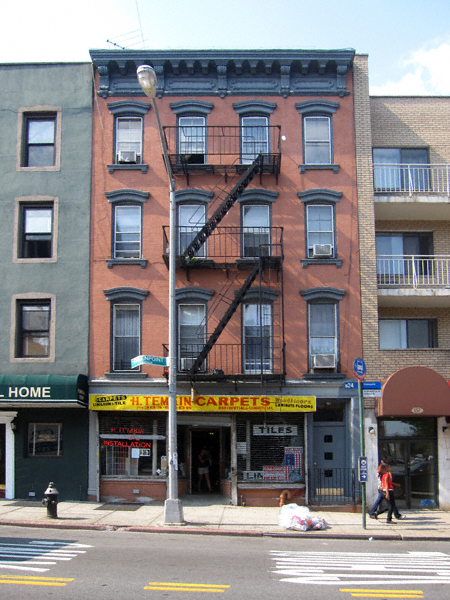 Interested to know what 155 Greenpoint Avenue looks like today? Click here. HINT: a once beloved (and famous) cat once called this establishment her place of work and play! Otherwise, you can trace the path of Sigimund’s very dubious offering by clicking here.